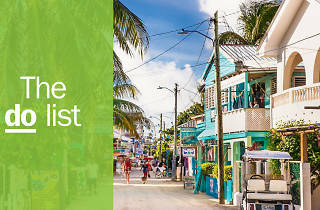 With ancient ruins, sandy beaches, wild mountains and unique culture, Belize packs quite a punch considering its size. The barrier reef draws in the scuba and snorkelling enthusiasts from around the world, and acres of protected land are a paradise for birds and wildlife. Add to that 365 days of warm weather, friendly people and incredible food, and it’s easy to see why many people have this enchanting coastal country in Central America high on their bucket list. What is it? 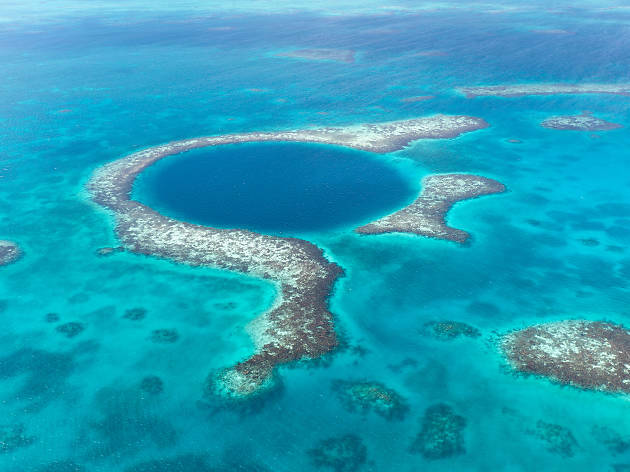 100km off the coast of Belize City is a giant submarine sinkhole on every serious diver’s wish list. Why go? 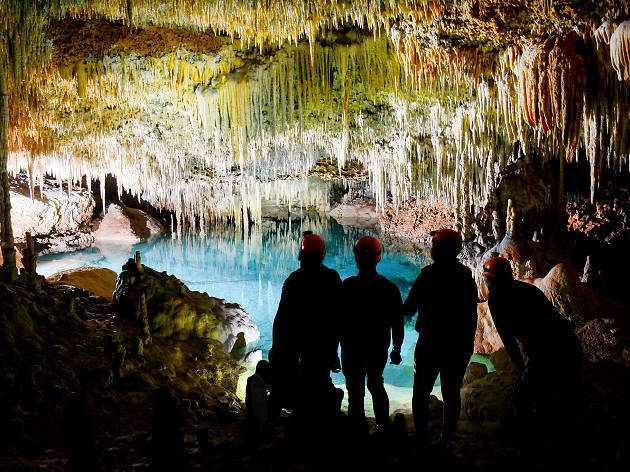 This Unesco World Heritage Site gives divers a chance to look at impressive underwater stalactites, some of which were formed 150,000 years ago. If swimming with an oxygen tank is not your thing, then enjoy its four shades of blue from the sky. A cozy two-to-six-seater plane will hover over the Half Moon Caye for an hour, giving you plenty of opportunities to nail that perfect picture. What is it? 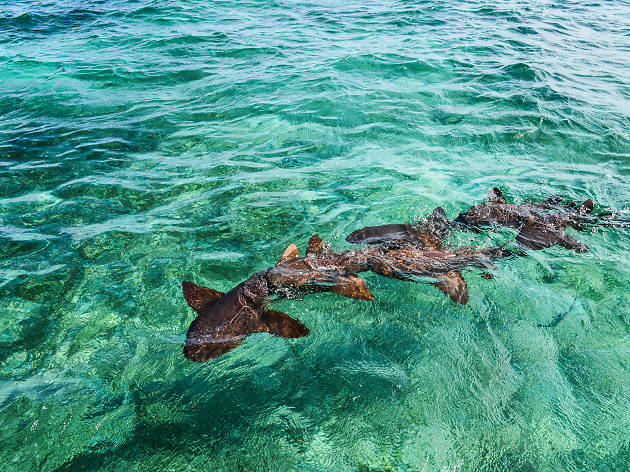 Part of the Hol Chan Marine Reserve, this snorkeling spot allows you to swim with harmless nurse sharks and stingrays. Why go? The theatrics around it are as impressive as the experience itself. Your dive instructor will attract the sharks using fish as bait, and when they circle around the boat like synchronized swimmers, you jump in. Scary movies aside, these sharks genuinely have no interest in making a meal out of you. What is it? 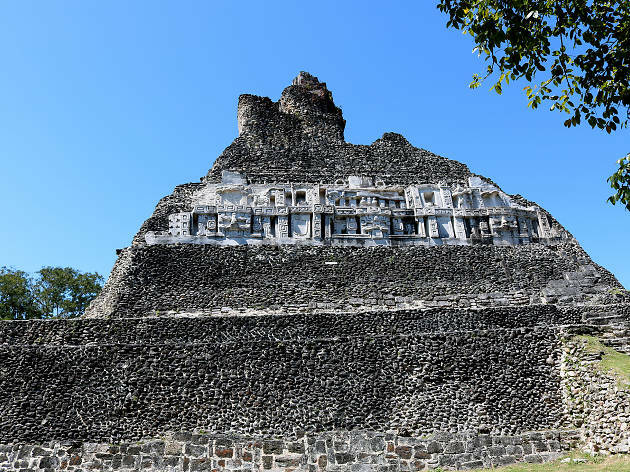 Rediscovered in the 1800s, Xunantunich is a beautifully preserved Mayan archaeological site in the Cayo district. Why go? A handcrafted boat ferries you to the other side of the Mopan River, where you can access the site by foot or car. Stand atop its main pyramid El Castillo (the Castle) for panoramic views of the ruins – and spot Guatemala in the distance. Don’t miss the carved frieze with astronomical signs on the main palace. What is it? Marie Sharp is somewhat of a culinary celebrity in Belize and one of the country’s biggest success stories. Rumor has it that Hillary Clinton carries a bottle of the famous habanero pepper sauce in her bag when travelling. Why go? 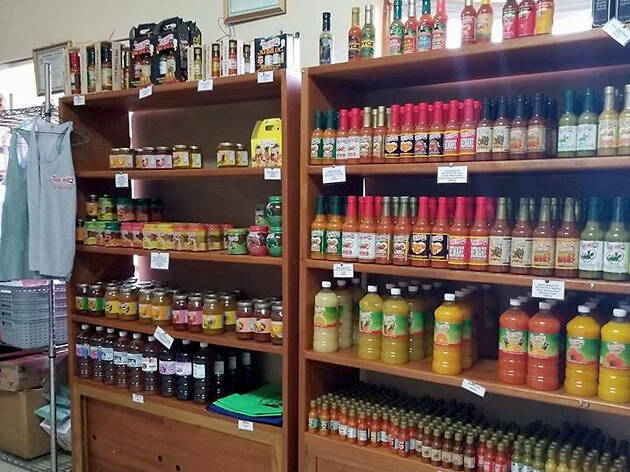 You can sample the fiery special recipe for yourself at the production and packaging plant in Stann Creek Valley, and speak to some of the fantastic women behind it. The sauces are not for the faint-hearted so pour carefully. What is it? 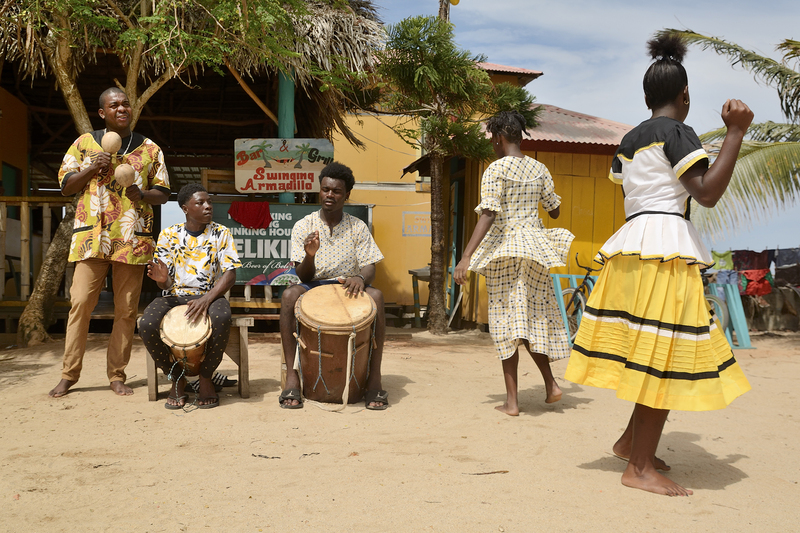 Celebrated every year on November 19, Garifuna Settlement Day is Belize’s biggest street party, and a great introduction to the culture, food, and music of the region. Why go? 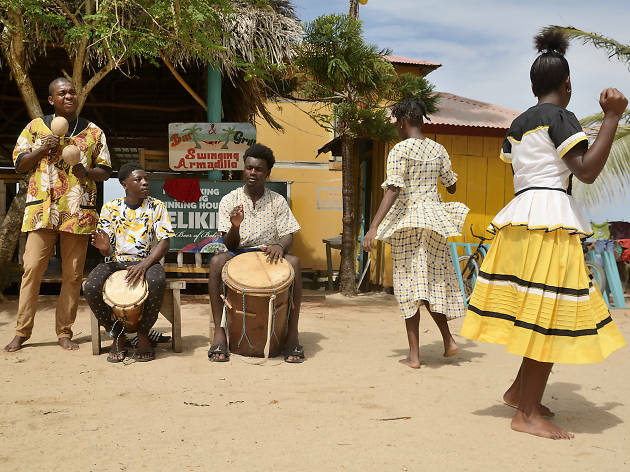 The villages of Punta Gorda, Seine Bight, Hopkins, and Dangriga pride themselves on keeping the tradition of the Garifuna people alive. The rhythm of the Garifuna drums – made from hardwood and animal skin, and the life and soul of every Garifuna party – is guaranteed to get you dancing. What is it? 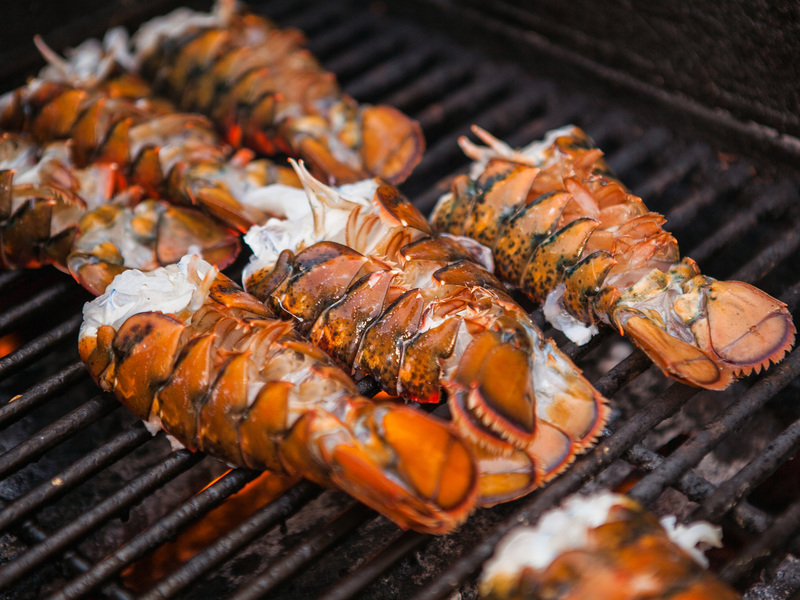 Lobster season is celebrated with great pomp and pageantry in Belize. Each year hundreds of fishermen take to the sea from mid-June to mid-February in search of the best catch, which is then freshly barbecued on the beach. The Lobster Festival celebrates the start of the season. Why go? You can buy lobsters for the price of shrimps from June to February, but also, it’s a great chance to learn more about sustainable fishing in Belize. 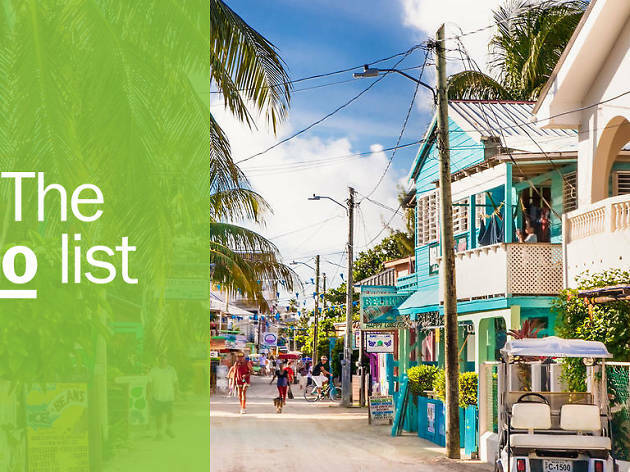 Plan your trip around one of the three different Lobster Festival locations: Placencia, San Pedro and Caye Caulker. What is it? 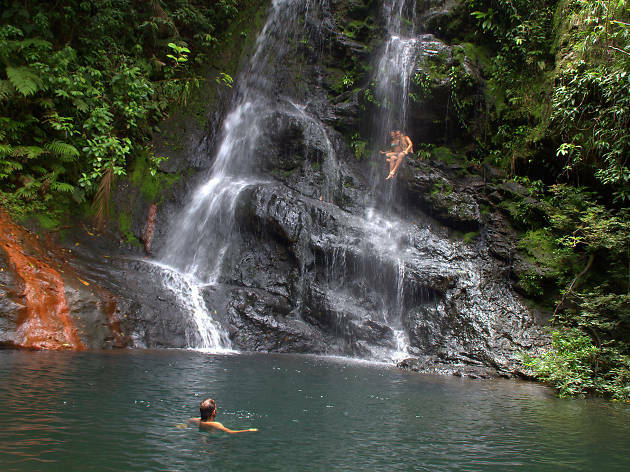 Recognized as the world’s first Jaguar preserve, the sanctuary is one of the biggest protected areas in Belize. Why go? There are excellent walking trails and waterfalls waiting to be explored in the forestland – start hiking early to get a glimpse of the hundreds of species of birds and mammals, including other cat species such as pumas, margays, and ocelots, that reside here. What is it? This ancient Mayan archeological site is home to various skeletons, including the famous Crystal Maiden. Why go? The experience of getting to the cave may be slightly strenuous – hike, swim and climb – but its impressive contents are worth the slog. Visitors can see the ceramics and stoneware used by the Mayans, along with bones from 14 bodies. The site is also known as the Cave of the Crystal Sepulcher because a calcite coating on the bones gives them a glittery appearance. What is it? This family-run restaurant in San Pedro is single-handedly trying to save the future of Mayan cuisine in Belize. Along with a regular top-class menu, every Friday guests can taste traditional recipes such as pork pibil and mechado (seafood soup). Why go? 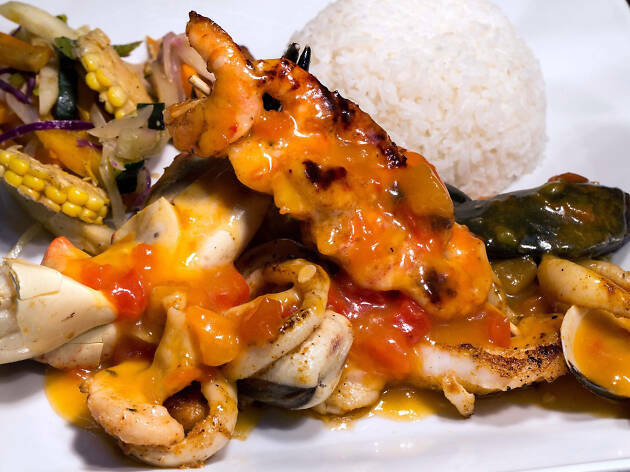 Apart from being a business with a conscience, they also serve the best seafood in town. Try the famous fried chicken, Mayan fish cooked in adobo sauce and the mouth-watering coconut pie made by the owner Doña Elvia. What is it? 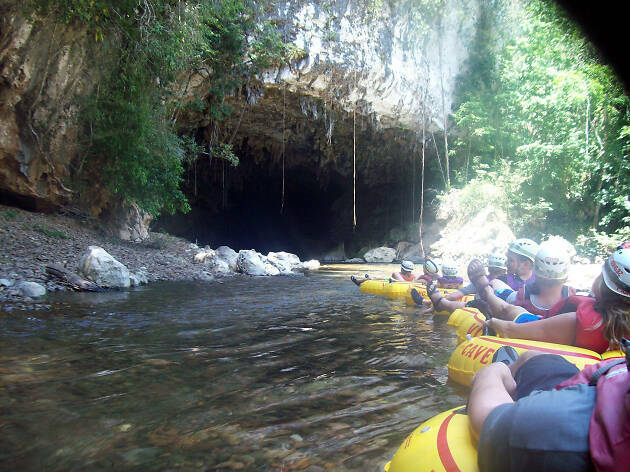 Hop on a tube and float effortlessly through Chiquibul, the largest cave system in Central America, and admire the natural formations, crystals, and stalactites. Why go? Tube caving is a unique way of accessing some of the hidden gems around Belize and a fun day out for the family. Go first class in a Cadillac tube (with a comfortable seat mesh, head and armrest) or travel economy – or, if you like, combine tubing with ziplining. What is it? 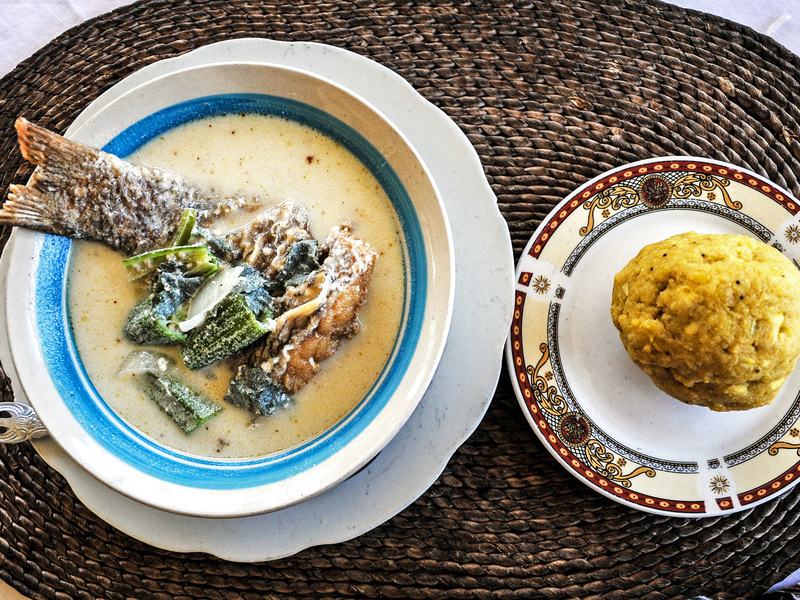 Unlike rice and beans, you won’t find hudut at many restaurants in Belize – let alone around the world. That’s reason enough to try this traditional Garifuna stew made of mashed plantains, pig’s tail, eggs, fish and coconut. Why go? Located on the coast of Dangriga, Tuani Garifuna offers unobstructed views of the sea. It’s the perfect place to catch the sunset, relish your hudut and sip a chilled Belikin beer.